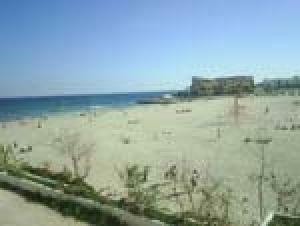 La Zenia Costa Blanca: Situated on the Orihuela Costa coastline the beautiful resort of La Zenia is a popular location for holidaymakers visiting the southern Costa Blanca, Spain. Located between the resorts of Playa Flamenca and Cabo Roig on the N-332 coastal road, La Zenia has a lovely sandy beach, a first class hotel and a decent range of facilities. A huge new commercial centre being developed near to the Motorway exit will further enhance the range of facilities available to visitors. Beside the roundabout on the N-332 you will find a good selection of shops, bars and restaurants including the famous Paddy´s Point claimed to be the first Irish Pub in the area, Bar Alejandro apopular German bar which does great food, Gogarty´s Irish Pub, and La Parada bar and cafe. 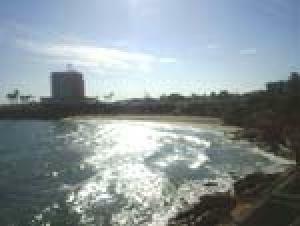 If you have time be sure to spend an hour or two and take the cliff walk to Cabo Roig this is a very pleasant way to spend a hot summers evening and you can enjoy the cooling sea breeze whilst taking in some breathtaking views across the Mediterranean along the coast to La Manga. If you are in La Zenia on a Saturday do not forget to stroll along to the fabulous market at Playa Flamenca a great place to purchase fresh, locally grown produce and to pick up some gifts and bargains to take home with you. 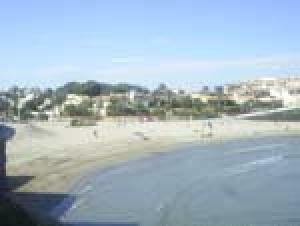 La Mirada is a restaurant and café with a conservatory area which overlooks the beach. The café serves hot and cold snacks, beverages, ice creams and tapas. 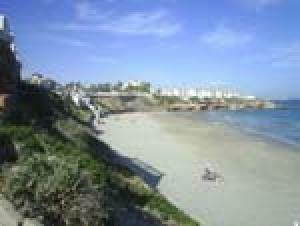 There are a large range of restaurants and bars in La Zenia on both sides of the N332. Al and Benny´s is an American restaurant on the beachside that serves burgers, fries, steaks, chicken and pastas. Indigo´s is along the same strip and is an extremely popular Indian restaurant. The Red Sea Cafe bar does excellent eastern European/Asian Tapas. Also in that same strip is The Hop and the newer Tunnel Bar. 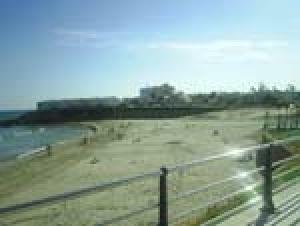 There is a wide choice of amenities in La Zenia including a pharmacy, bank, Supermarket, electrical store, English supermarket, second hand furniture shop, an internet café, a bodega, a garden centre, dentist, 24hour shop and a taxi rank. There are a few gift shops but Ponderosa is well worth a visit. There you will be able to find English gift cards, an array of costume jewellery, ornaments, candles, ornamental clocks and various other unusual nick knacks.